Hear Melissa discuss The Littlest Cow with WKVT’s Chris Lenois on Live and Local! Join Melissa and Jennifer at two book signing events this spring! Public Reading, Hooray for Books! 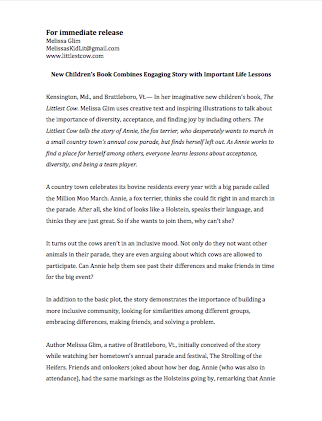 Join Melissa on the Common for a live reading of the Littlest Cow and book signings. There will be fun and games for all! 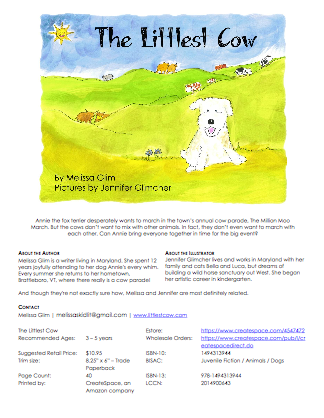 Melissa will be signing copies of The Littlest Cow. 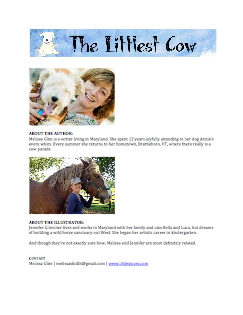 Melissa will read The Littlest Cow and sign copies. We'll have games to play, too!